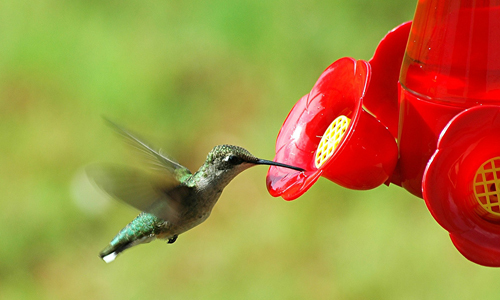 Want hummingbirds to grace your garden again and again? Plant some of these 50 varieties they love, many of which you can find in Prairie Gardens greenhouses. Selection constantly changes. Please call ahead for specific plant availablity. We’ll be happy to help. Mums are blooming and ready for your gardens! Learn how we grow them locally, get tips from our Garden Experts on proper care and peek at the beautiful blooms and other fall garden favorites. LIVE pumpkins are here! Come find your favorites at Prairie Gardens and learn how to make them last longer with tips from our experts. Sadly, nearly one third of Bee colonies have vanished. But you can help! Prairie Gardens Plant Experts recommend planting these to help save the bees. Don’t want any more mosquitos crashing your outdoor get-togethers? These are Prairie Gardens Plant Experts top picks for plants you can add to your garden to naturally repeal those pesky bugs. These perennials have an “average” bloom time of June, so plant them this month for beautiful June garden color, year after year! Look for many of them in Prairie Gardens greenhouses. Knockout Roses are one of the easiest roses to care for and one of the heaviest bloomers, but there are ways you can be amping up their beauty during the summer season. Our Plant Expert John details how! Top plant picks and tips from the PG Plant Experts to create an oasis for our Butterfly pollinator friends. The wait is over! Now it’s time to really dig in. Here’s what you should be doing in the garden in May according to Prairie Gardens Plant Experts. Want to tackle your very own container? We’ve got you. Here are Prairie Gardens Plant Expert top tips for making a successful container garden you’ll absolutely love. Tropical Hibiscus are a great additional to any garden, constantly rewarding you with big, beautiful blooms through out the spring and summer growing season. Learn how you can keep the blooms coming with tips from Prairie Gardens Plant Experts. ← ASK AN EXPERT: Determinate & Indeterminate Tomatoes. What’s the Difference? Sign up to Receive 10% off Your Total Purchase Every Tuesday! © 2019 Prairie Gardens. All Rights Reserved.